Lakeview PTSA recognizes there are many benefits to walking and biking to and from school. We sponsor two events to promote safe walking or biking to and from Lakeview. Lakeview celebrates Walk to School Week each fall. Biking is welcome too! 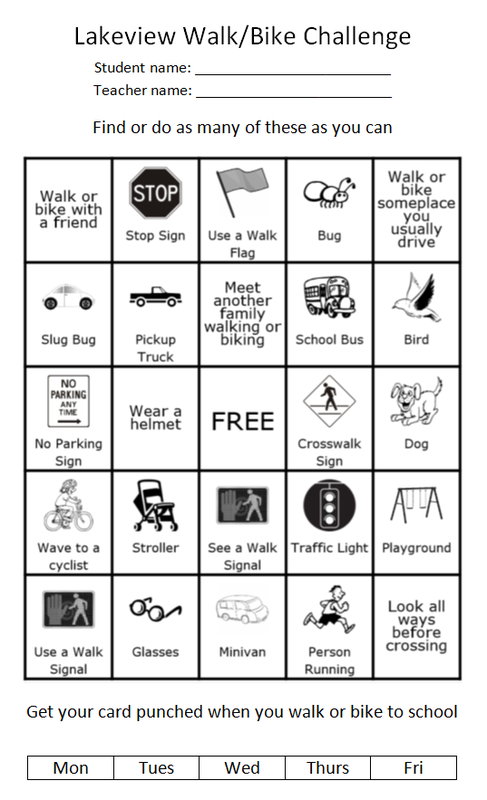 Check the LWSD Safe Walk and Bike Routes to find the walk and bike routes closest to your home. May is Bike to School Month. Lakeview celebrates with a Bike to School Day each May. Students in K-3rd must ride to/from school with an adult. Students in 4th and 5th grade must fill out the Lakeview Bike Permission Form in order to bike and always wear a helmet.